Next to beauty gifts, my favorite type of gift to receive would be tech gifts. They' can be practical and fun and this works out well since my husband really enjoys giving tech presents. <I mean who doesn't love gadgets that make life easier. And there are so many well designed options these days. Are you a fan of giving or receiving gifts of technology? Ringly takes notifications to the next level. You can customize them with different colors and vibrations to easily distinguish between a new text, email or call. It can even let you know when you have a new Instagram follower. This version with a rose gold case and lavender band has to be the prettiest Apple Watch of them all. I've been meaning to get a fitness tracker but most of them are not that attractive. The Mira actually resembles a stylish piece of jewelry and it also functions as a timepiece. Portable speakers used to look so plain. This one is definitely not and it's waterproof as well. My enabler husband convinced me that I should have this phone. Let's just say I'm really glad he did. There's no reason to get caught with a dying battery when you can carry one of these around. The marble look is so chic. Most people use their phone as their main camera these days and this lens set is full of creative options. This nifty little gadget makes it so easy to print photos right from your phone. I don't know how many times I've wished I could just make a quick print of a pic for someone. This is like the Bentley of cameras and I'm totally coveting it. Any device that cleans so I don't have to is a winner! I've seen one these in action at a friend's house and it works. Personal massagers are a must for self care and this one features an innovative 3D channel massage module with six traditional massage styles that mimic the feel of being massaged by an actual therapist. thanks for sharing these gifts and they are all great. Interesting gift guide, Thanks Rowena! I love how that Mira Wellness & Activity Tracker looks so stylish! My husband loves giving me tech presents too, which luckily fit in great with the blogging hobby. The ring connected to smartphone really surprised me, never seen something like that. 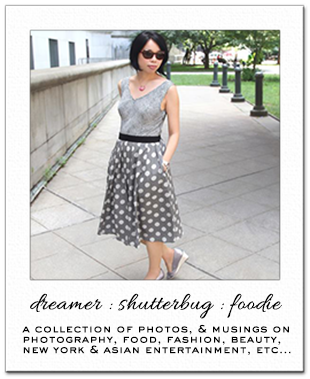 Thanks for stopping by my blog, Rowena! Great tech gift ideas keep them coming Rowena great job. i had to look up what some of these were! these sound so cool! We are planning to get ourselves Apple watches in the future but since this is the first generation, we're waiting for at least a couple more releases when it'll be better. Had no idea about Mira, it's definitely very stylish and looks way better than Fitbit for sure. Gorgeous selection! They are such nice gifts. I've just got the iPhone 6s plus in rose gold and I'm so in love with it! It's beautiful. Oh man the tech stuff thats my thing I would want one of each! 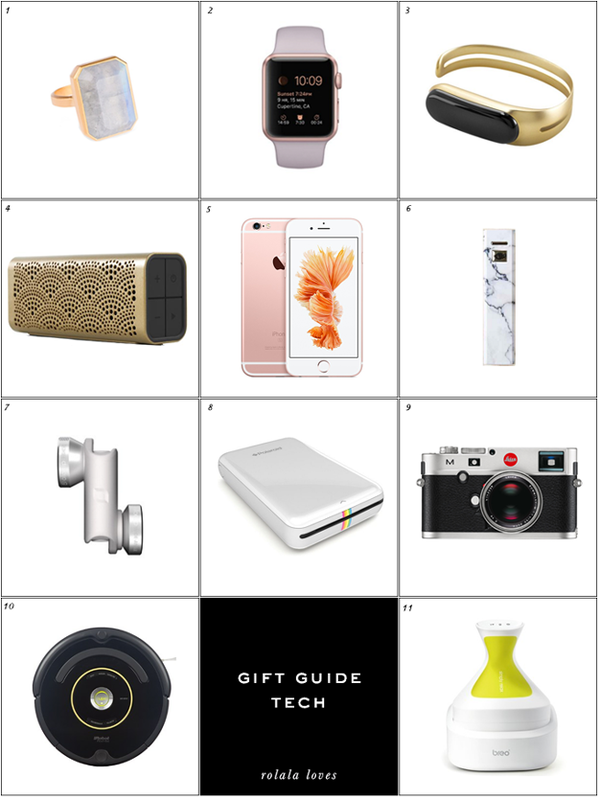 Last week I saw a somewhat similar tech gift guide and was actually blown away by the concept. When I contemplate gifts, never once does anything remotely related to tech come to mind (with exception to phone cases and headphones) and dammit by loved ones are missing out because this is an area that you just know everyone loves. Mmm, a camera should come in handy! What a gorgeous wireless speaker! My husband was totally going to get me that combination but decided to force a white and gold on me instead. Eeek now I have to use this! I need a new iPhone! Beautiful in pink. they are all awesome, will make such great gift! Unlike you, I have been avoiding fitness trackers (I don't need any help realizing how lazy I am!). But, no.3 has got to be the most glamorous one I've seen so far. I like it! And that speaker- swoon over a scallop pattern. This last product seems perfect for me:) I could use it right now.